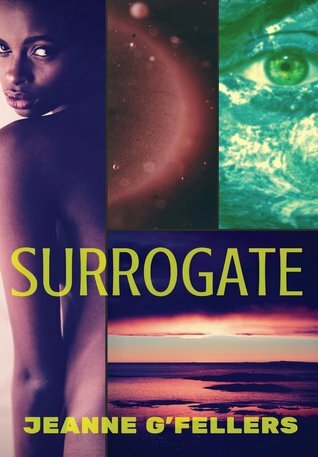 Surrogate is slated for a March 1st release by Supposed Crimes Publishers, but a preview is available now! Worker. Trade Agent. Slave. Etain Ixtii detests the labels others give her, but there are some things she must accept. She was genetically designed to do specific tasks. Her breeding instincts interrupt her life every forty-five days. But workers like Etain are taught not to question so when she returns from training questioning her home world Gno’s profit-based caste system, she risks her life. She doesn’t want to be an agent and doesn’t want to cross through the wormhole to never return. Why does she have to go? Can’t someone else? Usurer Serria, the owner of Etain’s birth and training debt, quickly tires of her problem worker and launches Etain through a collapsing wormhole so she can collect the insurance payout. Very bad business indeed, but Etain manages to survive the attempt, arriving on the other side plagued by debilitating headaches and hounded by a dangerous insectoid enemy that no one, including Physician Leigheas Sternbow, the Takla royal physician, and Mercine Feney, the Empire’s powerful female leader, can make disappear. Enter for a chance to win one of two signed, hardback copies of Surrogate! Click Giveaway details for more information. Giveaway ends March 01, 2017. ← Current Science Fiction: What’s Gone Wrong?